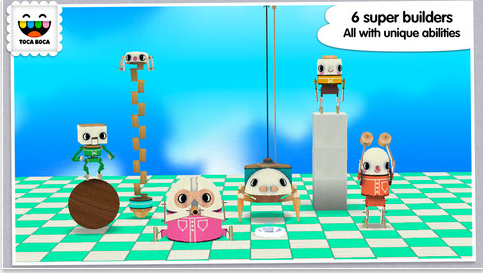 We’re big fans of Toca Boca apps here at Rattle & Mum and the latest release, Toca Builders, is no different. 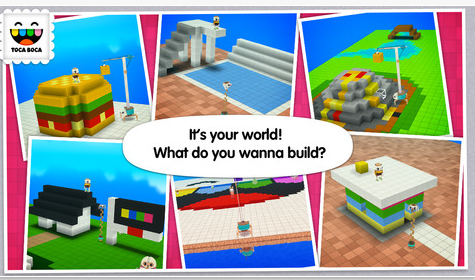 Builder is in the style of open world games such as Minecraft where you are able to put together a building or anything else your heart desires and become a mini architect. Toca Boca apps are crucial purchases for all parents and it’s no wonder that the company has sold over 40 million apps. 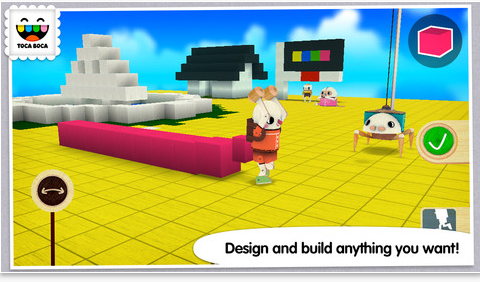 You can think of Toca Builders as a combination construction/painting/creative game where your child’s creativity can be unleashed to build anything they want. The world starts off with a blank, flat world template and can go wild. The builders you can use to interact with are the crux of the game and you get six different types of builders you can interact with. 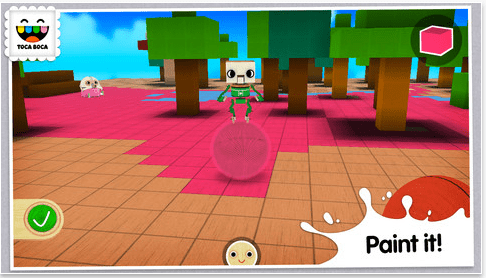 What makes Toca Builder interesting is that there isn’t a specific goal or activity as with the other Toca Games but rather you’re able to go a little wild with creativity. This is great for older kids but younger children might struggle. Rattle & Mum’s resident app reviewer Max (age three and a half), really loved the bright colours and the characters. Kids will love the cutesy still animations and the wooden building blocks as it gives the entire process a real world feeling. There are a couple of concerns: the camera can take a little adjusting as you can swing it around freely. This is possibly more of an adult problem than a kids one! The other concern is actually both a pro and a con: the lack of direction might confuse the youngsters and they’ll get bored easily. This is a great evolution for Toca Boca, it seems as though they’re now offering games for slightly older kids. For logic and creativity building you can’t beat this app. Another brilliant release from Toca Boca! Available for $1.99 for iOS. 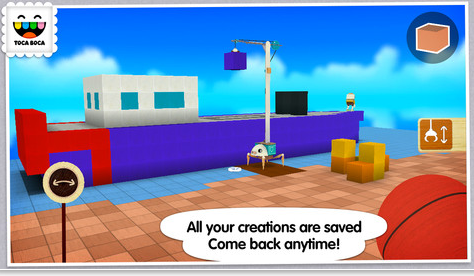 The Toca Boca developers have specifically haven’t used any ” game plan” in any of their apps. That’s what makes them unique and inspires creativity in kids. Just like a real imaginary game, the outcome changes and varies. The child may start out trying to build a house but they can decide that it actually looks like a car. Voila, they can change and adapt the outcome. Can a dental hygienist tell a dentist to put on clean gloves?